The Omni reads up to three tracks of information with a single swipe in either direction. 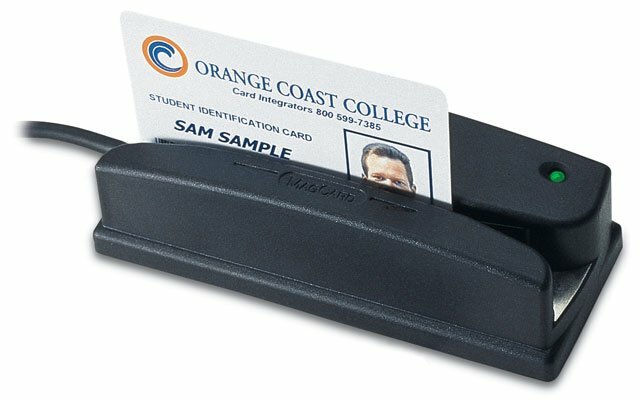 The ID Tech Heavy Duty Omni magnetic stripe reader. In addition to rugged housing, the Omni has a metal base with tapped holes and rubber feet, and can be Velcro mounted. Multi-colored LED (not on TTL). The cable can exit at the end, side or straight down. Options include TTL, RS-232, Keyboard wedge (AT/XT, PS/2, or Mac), Weigand or USB interface. If you need to read barcodes, please see the Omni Barcode Reader. If you need to read both barcodes and magnetic stripes, please see the Omni Barcode and Stripe Reader. The ID Tech WCR3207-533 is also known as IDTech	IDT-WCR3207-533	or WCR3207533	.